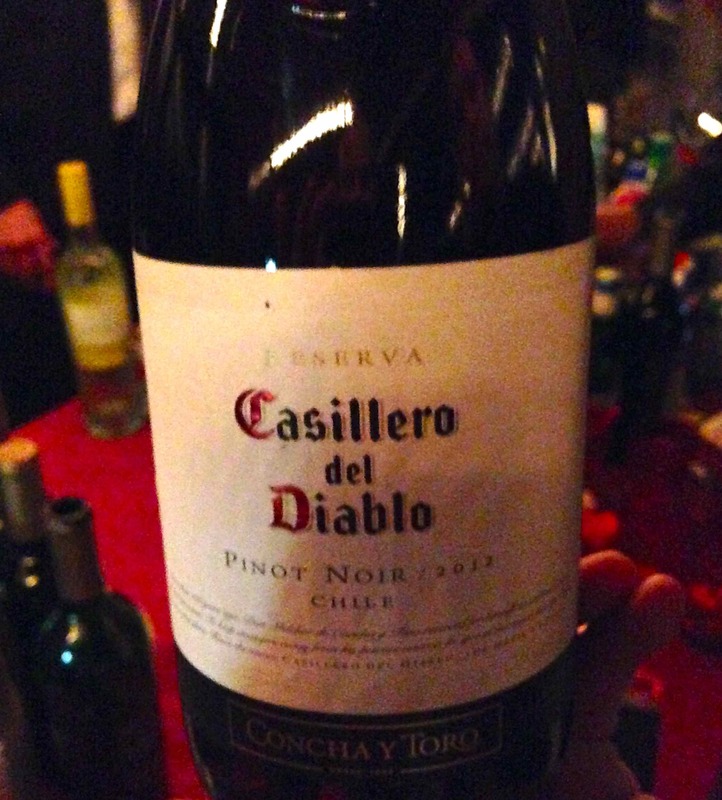 The other bottle I’ll remember from my cousin’s wedding reception at the National Aquarium in Baltimore is the 2012 Casillero del Diablo Pinot Noir. I’ve seen the brand previously–always reminds me of the “Face Painter” episode of Seinfeld–but don’t think I had ever sampled prior to this fun weekend in the Inner Harbor. It’s not unusual for someone to drift from Merlot to Pinot Noir as I did this evening, but I do recognize it’s not quite the game plan. But sometimes you have to mix it up and just go for it. Most of the Pinot Noirs we drink come from California, and would generally advocate them as my favorites to others from (in some semblance of order) Oregon, South America, or Europe. I’m not sure if this is based on the regions themselves or the quality of the wines originating therein, but the Diablo held up well in this light. Since we were caught up in all the merriment, I barely remembered to shoot the label and certainly don’t recall any specifics I might offer you. That I stopped the bartender to photograph the Diablo is an endorsement in some small way–not exactly of assistance if you’re looking to match this up with some great steak or get a feel for its composition, but a positive note nevertheless. This entry was posted in Pinot Noir and tagged Chile, Pinot Noir.